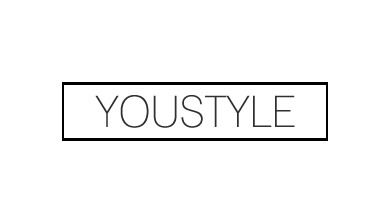 YouStyle | Fashion, Beauty & Lifestyle Blog: Would You Rather Beauty Tag! I've finally been tagged in a new kind of tag, haha... :P Huge shout out to Emily for tagging me in the Would You Rather Beauty Tag! I was kind of getting sick of all the 'random facts about me tags' I've been writing, though I still absolutely love to receive them! 1. Would you rather lose all of your mascaras, eyeliners, lipsticks and lip glosses or lose all of your eyeshadows and palettes? 3. Would you rather have a coral or pink cheek? 4. If you had £1000 to spend would you rather buy clothes or makeup? Clothes. Hands down. That would be a beautiful day. Sephora, never really been in a Mac so I wouldn't know I guess... but Sephora has always had a nice nail polish selection? 7. Would you rather use one eyeshadow or one lip colour for the rest of your life? Winter clothes for sure seeing as I'm extremely afraid of the cold. And the thought of wearing summer clothes in the middle of a Canadian winter makes me cringe. 9. Would you rather have bright or dark nails all year round? Dark nails, I find that it's easier to match colours with darker and more neutral shades. 10. Would you rather give up your favourite eye or lip product? I can't really answer this since I don't really have a favourite eye product, so I'll just go with that? My answer honestly would depend on how I'm feeling on a certain day, haha... Today, I'm going to go with a ponytail. I find that they're much more convenient to just slap together, even though a messy bun can be messy, it's so much harder to achieve the right amount of messiness. My hairs a lot longer now too so it definitely looks better than before in a ponytail. Have none at all. I do not want to be that girl with the crazy eyebrows. 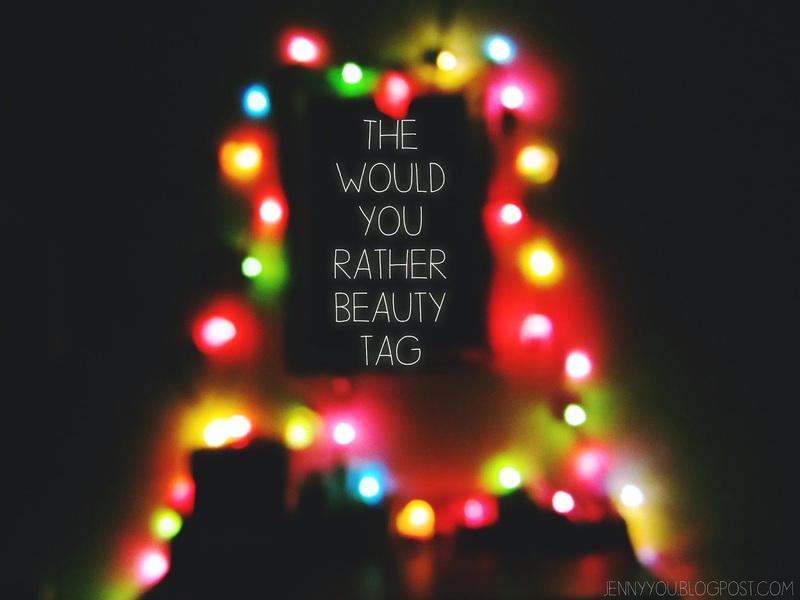 So there we have it, my answers to the Would You Rather Beauty Tag! I quite enjoyed answering these questions and I hope it wasn't too disappointing since I don't actually use beauty products much! I'm tagging all of you to do this tag! Make sure to comment below if you do and I'll be sure to check it out!